Regret getting that tattoo? Make it vanish! Did you know that nowadays 50% of us regret getting at least one of our tattoos done? One reason is believed because it makes us look ‘common, uncultured, or a bit of a chav’, another is that it held us back in our careers. Additionally, one third of us worry they’ll look awful as they grow older due to fading. We know that the majority of us are under the impression that tattoos are a permanent thing, however we are pleased to inform you that there are several ways of getting rid of it. So if you have fallen out of love for your tattoo and want to eliminate yours, keep on reading. Here at Aesthetics of Essex, we offer a Q-Switched Laser Removal treatment, one of the best and safest non-surgical methods available to you for tattoo removal. How does it work? 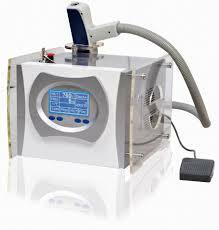 The laser delivers pulses of light quickly (and at very high energy) onto the skin, which is absorbed by the tattoo. This breaks up the pigment particles so that they are small enough to be safely removed by the body’s immune system – resulting in a more faded tattoo. The laser is capable of removing blue, black and even coloured ink at very low risk and little chance of side effects such as scarring, trauma or bleeding. Over a series of treatments, your tattoo will eventually become invisible! So how easy is it to endure the removal process? The answer to that question depends on various factors such as how old, how big and how intense the colours are on the tattoo. This treatment does not require anaesthesia, however topic anaesthetic is an available option that can be applied over sensitive areas. We recommend two to three sessions to be enough to start making a visible difference to the tattoo. So what are you waiting for? Contact us today to book your FREE consultation and patch test and take advantage of our FREE 6th treatment when you book 5 consecutively.